Situated on a popular and delightful cul-de-sac on a corner plot, this surprisingly spacious dormer bungalow has beautifully presented accommodation throughout. Its location means it is perfectly positioned to take full advantage of the excellent amenities that Mere Green Centre has to offer as it is within walking distance of the shops, supermarkets, restaurants, bars, cafes, doctors and library and there are nearby excellent road, bus and rail services into Sutton Coldfield town centre and beyond, for further comprehensive amenities. The bungalow is immaculately maintained with top-of-the range appliances in the kitchen, utility and the three en-suites and family bathroom. The ground floor offers a beautiful modern kitchen with rear doors to the garden and a utility room with Granite work surfaces. Completing the ground floor accommodation is a family lounge and dining room and two of the four bedrooms both with en-suite facilities while on the second floor there are two further bedrooms, one with en-suite. 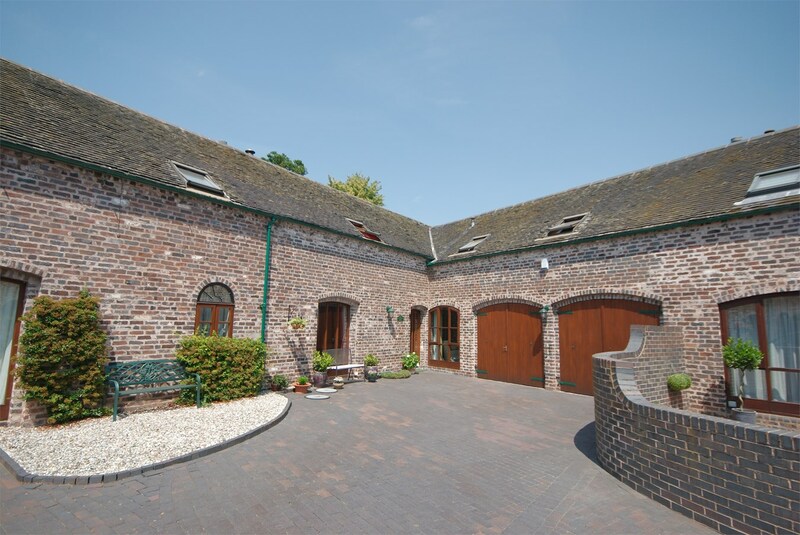 Also offering a private rear garden and ample off road parking, viewing is essential. 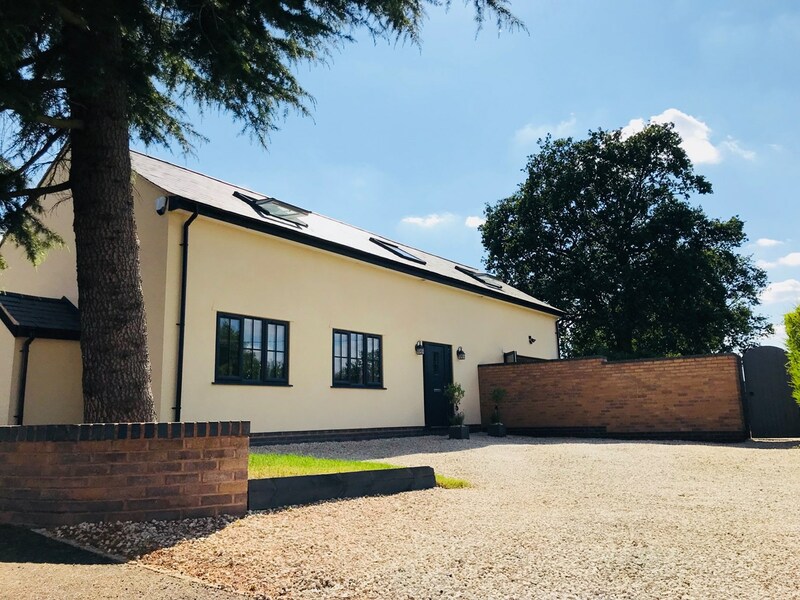 The bungalow is approached via a monoblock driveway with ample parking for several vehicles and is set on a corner plot with a foregarden being mainly laid to lawn with trees, shrubs and borders. having UPVC double glazed windows to front and side aspect with composite entrance door. with tiled marble flooring, ceiling spotlights and easy tread staircase with metal spindles leading to first floor accommodation. 3.80m(width) x 2.90m (length) (12' 6" x 9' 6") having UPVC double glazed window to front aspect and two UPVC double glazed windows to side. Built in storage cupboard, location of gas fired combination boiler, tiled flooring, designer radiator and ceiling light point. 2.65m x 2.80m (8' 8" x 9' 2") having wet room area, tiling from floor to ceiling, ceiling spotlights, UPVC frosted double glazed window to rear aspect. Matching suite comprising of a low flush W.C., sink with vanity unit beneath. Wall mounted mirror and chrome heated towel rail. 4.66m (width) x 5.90m (length) (15' 3" x 19' 4") with UPVC double glazed French doors and windows to rear garden. Wall mounted fire being remote controlled. Fitted storage units, two ceiling light points and two designer radiators. 4.18m (width) x 5.60m (length) (13' 9" x 18' 4") a beautiful bright and light room having a range of matching base and wall mounted storage cupboards and drawers with Granite work surfaces above incorporating one and a half bowl sink and drainer unit with 'Brita' water tap. Integrated fridge freezer and dishwasher. Home connect 'Siemens' self cleaning oven and five ring gas hob with extractor above. UPVC double glazed window and doors to rear garden. Two designer radiators, tiled flooring and ceiling spotlights. 1.36m (width) x 4.84m (length) (4' 6" x 15' 11") having a range of matching base and wall mounted storage cupboards and drawers with Granite work surfaces above being complementary with the kitchen. Inset sink and drainer unit with mixer tap. Integrated fridge, tiled flooring and two ceiling light points. 3.05m (width) x 2.08m (length) (10' 0" x 6' 10") A door leads from the reception hall into the main Family Bathroom with matching suite comprising of a shower cubicle with glazed shower screen door, ceiling spotlights and extractor above, low flush W.C., bath tub, wash hand basin on wooden plinth, chrome heated designer radiator, tiled flooring, mirrored cupboard and frosted UPVC double glazed window to rear aspect. 1.68m x 2.91m (5' 6" x 9' 7") having matching suite comprising of a wash hand basin with vanity unit beneath comprising of two storage drawers, low flush W.C., shower cubicle with 'Aqualisa' shower and glazed shower screen door, tiling from floor to ceiling, frosted UPVC double glazed window to front aspect, chrome heated designer radiator, wall mounted mirror, extractor fan and ceiling spotlights. An easy tread staircase rises from the Reception Hall to the First Floor accommodation with ceiling spotlights and a built-in storage cupboard. Door to further first floor accommodation. 3.89m (maximum width) x 3.78m (length) (12' 9" x 12' 5") having UPVC double glazed window to front aspect. Designer radiator, range of fitted bedroom furniture and door into Built-in Storage Cupboard under eaves having ceiling light point. having matching suite comprising of a low flush W.C., and wall mounted wash hand basin with tiled splashbacks. Ceiling light point and built-in storage. To the rear of the property there is a paved patio area with the rear garden being mainly laid to lawn with trees, shrubs and borders. Access from the patio area leads into the Garage. with frosted UPVC double glazed door and window. To the front there is an up-and-over door, electric power and lighting.